Park North Physical Therapy takes a lot of pride in personalized care. Each person who walks through our door has different needs. It's our job to provide a safe and positive environment for our clients to meet their needs. Sam Morjaria brings two decades of experience to Park North Physical Therapy. Sam graduated from the University of Vermont in 1998 with his degree in Physical Therapy. He started his career at Beth Israel Hospital in outpatient sports medicine treating professional athletes, dancers, and stuntmen. His philosophy of physical healing is to treat the body as a whole instead of treating the point of pain and/or dysfunction. Sam uses hands-on therapy to relieve pain and restore normal movement to the body. He has advanced training in Myofascial Release, running biomechanics, Maitland mobilizations, strength and conditioning and is certified in Active Release Technique. Sam is also a certified golf fitness instructor by the Titleist Performance Institute. Tony Pletcher is passionate about treating the whole body as a system, and helping his clients get back to their lives quickly and performing better. He enjoys working with his clients to help develop goals and exercise programs to maximize their progress. Originally from Seattle, WA, Tony is a graduate of the Physical Therapy program at Columbia University and has been in NYC since 2015. Tony brings an extensive athletic background to his care, competing in Elite level cycling throughout New England, and often racing in Central Park. Tony has a passion for providing care not only to cyclists, but to everyone in need. Tony has spent countless hours working with bike-fitting specialists and has a special interest in fitting cyclists to their bikes to maximize performance and enjoyment. He is passionate about working with injured endurance athletes and working to get them back to the sports they love. 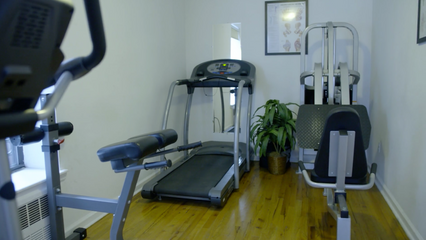 Sam believes in treating the body as one unit to return to function and exercise. He implements an individualized treatment program to meet everyone’s specific goals and needs. He is a proponent of education about the body, so the knowledge can carry over into everyday life and movement. Originally from the Bay Area, California, Sam graduated with his Doctorate in Physical Therapy from Columbia University. He has had experience working with a wide variety of populations, including athletes, weight lifters, neurological injuries, and all types of orthopedic injuries. He enjoys playing basketball and working out at the gym regularly to stay active.